Packaging | Pengad Indy Inc.
Pengad is your complete packaging solutions headquarters. The package is often the customer's first impression of your product so why not make the best impression you can? Whether you need customized CD sleeves or an entirely unique package, we can help. We even have extensive experience with food-safe packaging. 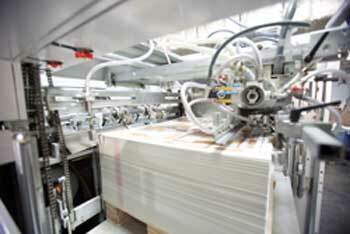 Our expert pressmen will print, die cut, fold and glue your packaging. When we deliver your piece it will be ready and waiting to be filled. Let us work with you to create the perfect package for your product.